At the Sundance Film Festival, you expect to see artful indies and quirky dramas — the next Little Miss Sunshine or Mudbound or Precious. What you’re less expecting is a broadly accessible comedy in the vein of Trainwreck or I Feel Pretty, the kind of unabashedly populist laugh-out-loud entertainment you would feel perfectly fine recommending to both your midwestern grandma and your Brooklyn bartender. 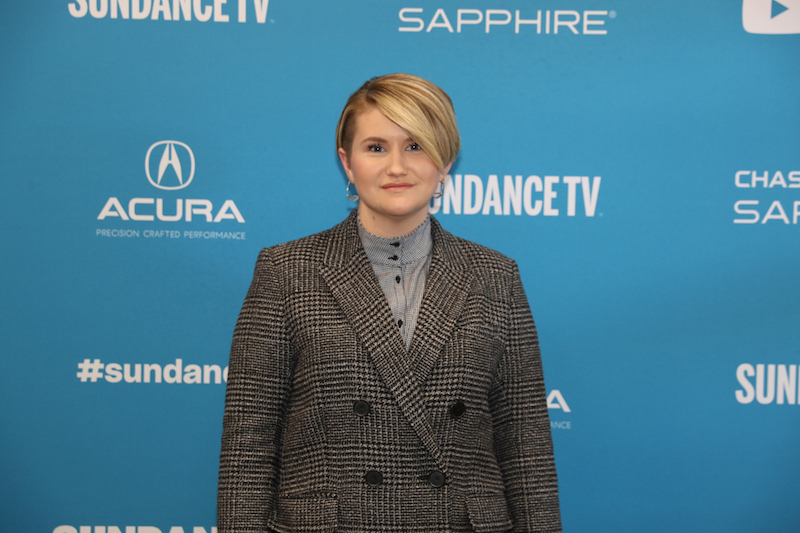 And yet, that’s exactly what this year’s Sundance has delivered in the sweet, sincere Brittany Runs a Marathon, which stars funny lady Jillian Bell as a 27-year-old hot mess New Yorker who decides to get her life in order. When we meet Brittany in the movie, she’s snoring in bed, reaching over to snooze her phone alarm — even though it’s past noon. She’s the type of disheveled, partying slacker who stays out until dawn to drink, do drugs, and hook up with strangers in club bathrooms, subsisting during the day on little more than fast food and wine. But after a doctor advises that she lose 50 pounds or risk health consequences, Brittany begins to realize that her nonstarter routine might not be as sustainable as she thought. Striking up a friendship with her seemingly snooty downstairs neighbor (Michaela Watkins), a trim runner who drinks green juice, Brittany starts to set some of her own running goals. She runs one block. Then two. Despite her life’s many temptations and distractions, Brittany slowly grows stronger and slimmer, eventually setting her sights on the 26-mile New York Marathon. For first-time writer-director Paul Downs Colaizzo, Brittany Runs was a longtime passion project that he based on his best friend Brittany’s real life story. For such a personal role, Colaizzo sought an actress who could handle the movie’s built-in humor while also staying true to its heartfelt origins. Bell, a talented comedian with memorable roles in 22 Jump Street and Rough Night, was a perfect fit. Before making the movie, Bell took it upon herself to mirror Brittany’s evolution — to, in real life, reach the same healthy weight that Brittany achieves in the movie. She stresses this wasn’t asked or required of her — she still had to wear a bodysuit and prosthetics while shooting the beginning scenes — but it allowed her to better get inside her character. “I related to her emotional journey and her mental journey, but her physical journey I had never done,” Bell said. “I was on Pinterest looking up ‘Couch to 5K: How You Train.’” Ultimately, the crew did shoot during the real 2017 New York Marathon, making them the first-ever non-documentary film to shoot during the annual event.